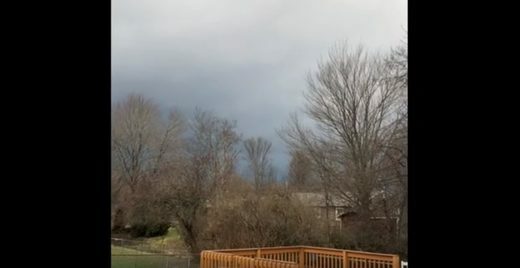 On January 8, 2019, YouTube user ‘Heather Carey Vlogs’ shared footage of strange noises she heard in the Ohio sky: This morning there was strange noises in the sky! Sounded like a jet, but there was NO jet in sight! No airports are around where I live! The sky was dark and it was windy, but it’s definitely not thunder or wind! The sounds were way louder and more frequent before I pulled my phone out and started recording! It lasted for about 45 minutes to an hour!